Solid state relay pictured on the right. I used a mechanical one later. I started out with the intention of using a Solid State Relay. Apart from being quieter and quicker, I really liked the design of the solid state relay pictured above. Being able to hide the live wire under a cover was important. This didn’t work out though because solid state relays and fluroescent bulbs don’t mix. Even when the relay is in an open state the light flickers every couple of seconds. I heard of a few ways to get around this, but I opted just to use a mechanical relay instead. I couldn’t find one of the same design as that solid state, but I did fine one with big terminals on top that I could use for the live wires. First step is to cut the extension cord in half. Using this page I know that since I’m in Australia blue is nuetral, green is ground and brown is the live wire. 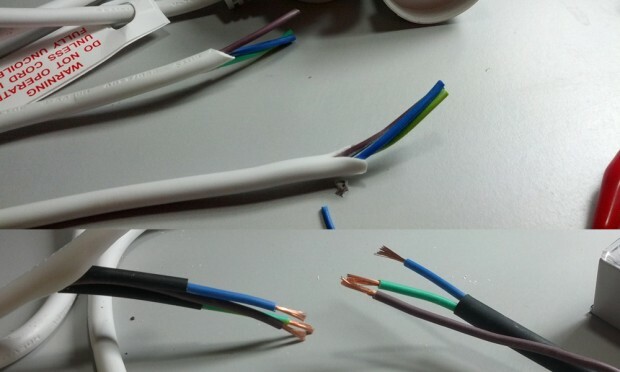 You can confirm this too with a continuity test between the connector and the exposed wires as well (good extension cords will label the blades L/N/E). The live wire is the one I need to splice into my relay so really I could have not cut the blue or green wires and saved my self the trouble of soldering them back to together. Connect the live wire to the armature terminals on your relay. I’ve put insulated female disconnect terminals on the live wire so I won’t accidentally electrocute myself when working near the relay. Notice I removed the armature contacts on the bottom of the relay too. Again this is so I don’t accidentally electrocute myself. Now for the Arduino! Using this diagram you can very easily create a circuit to control a relay using a single digital pin. Mechanical relays uses an electromagnet to pull closed an internal switch. The transistor in the linked circuit will respond to the state of the digital pin and open/close the relay appropriately. 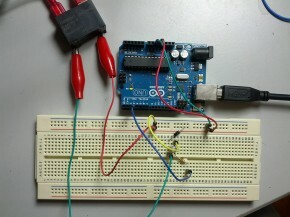 I’ve set my breadboard up exactly like the relay diagram linked above, so you can copy either if you need a reference. Wire up your breadboard and plug in your extension cord once everything else is done. 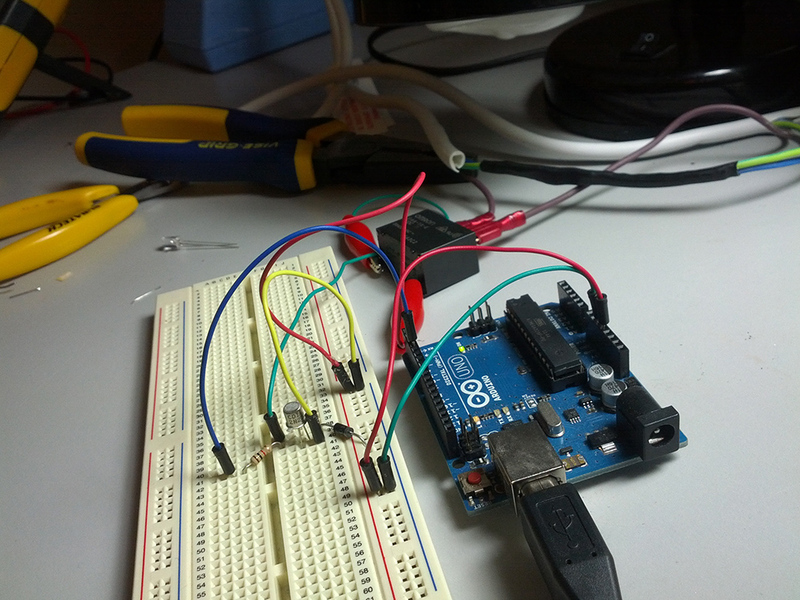 Upload that sketch to your Arduino and it’ll flick the relay between open and closed every 3 seconds. Well that concludes this tutorial. 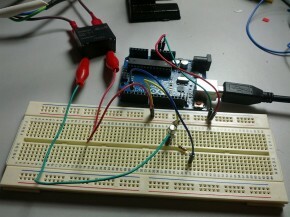 Among a few other things, it has become apparent that using relays with an Arduino is very simple. This is great since it opens up a world of possibilities. 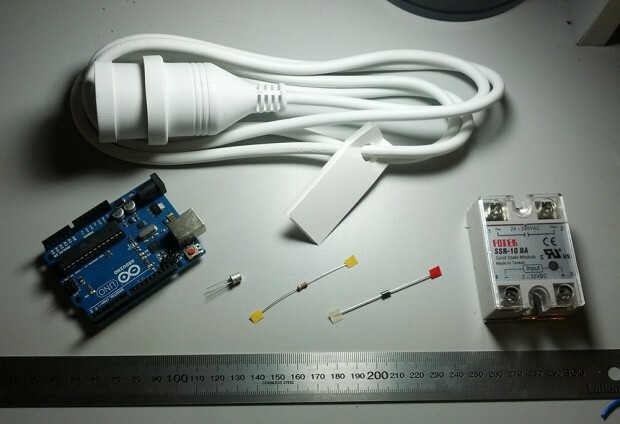 Being able to control any mains powered device with one pin on a microcontroller? 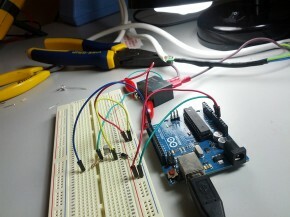 The applications of this simple circuit are literally endless. Personally I’ll be using it very soon to turn my herb light on and off.